Gowanus Canal Conservancy partnered with TreeKIT to draft a street tree management plan that will be weaved into the Gowanus Lowlands Master Plan. Click here for the 2018 State of the Gowanus Urban Forest. 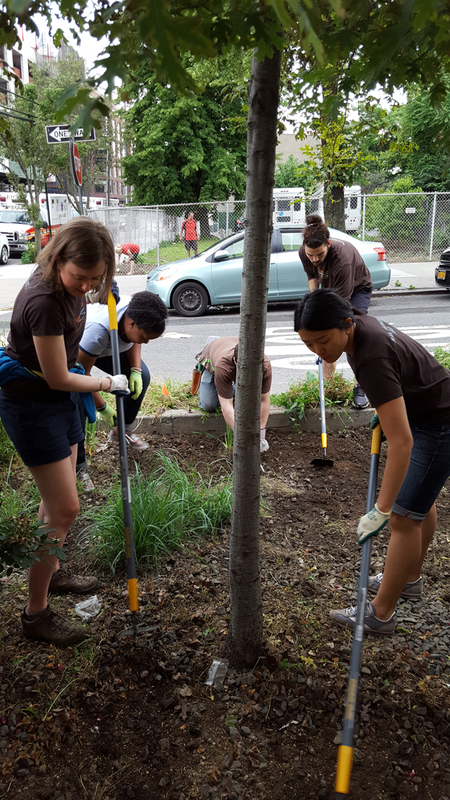 Join us at our next volunteer event to get involved in local street tree stewardship! 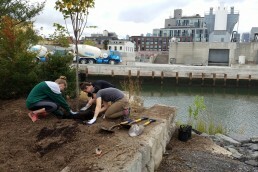 The Gowanus Tree Network are neighbors working together to build a healthy urban forest. 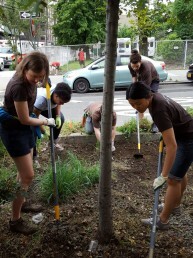 Tree Ambassadors enroll in free Citizen Pruner training, organize tree stewardship with their neighbors, and enter the Greenest Block in Brooklyn contest. 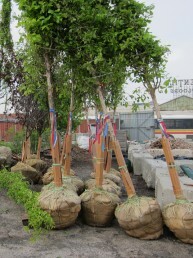 Click here for a 2019 Gowanus Tree Network info sheet. Applications are closed – look out for next year’s application in January 2020!